There are so many nifty little products for kids out there these days, you just need to know where to FIND THEM! That's where I (and lots of other bloggers) come in. We love to discover unique and personalised items for your kids that you won't find in shops, try them out, and share them with you. We also love helping out small biz mums to get their awesome products seen by more eyes! So today's product review is a pretty special one. It's a personalised story book, made by Kim from Tailor Made Tales. 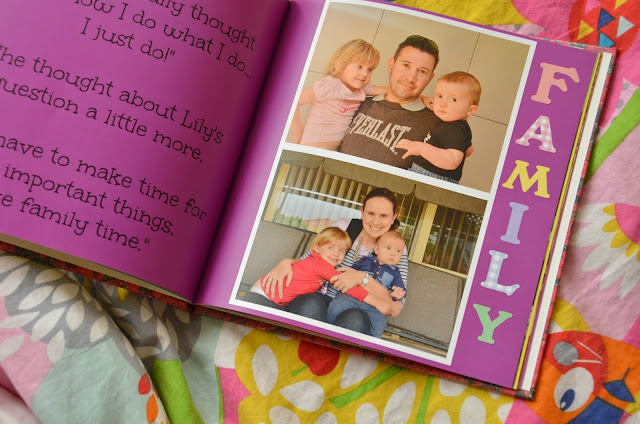 It's not just an ordinary photo book though, Kim will actually write a unique story especially for your child based on the photos you send her. 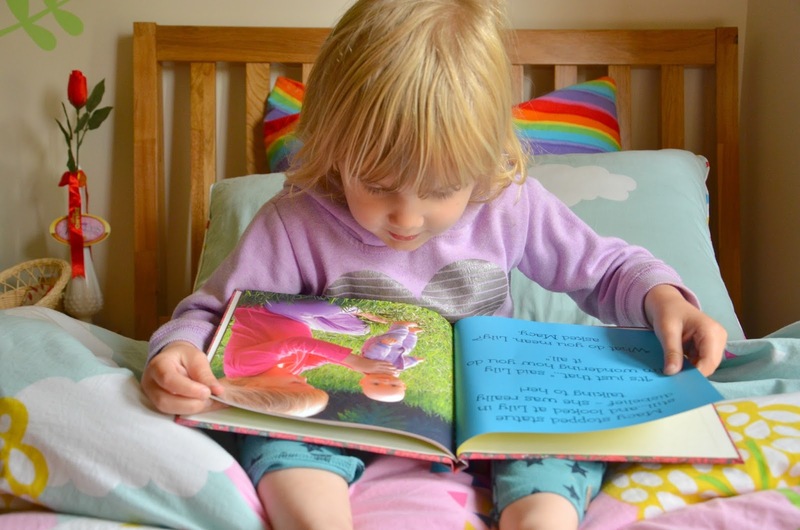 I just love this idea, and I was so happy with what she came up with for Miss M (kindly gifted for the purpose of this review). 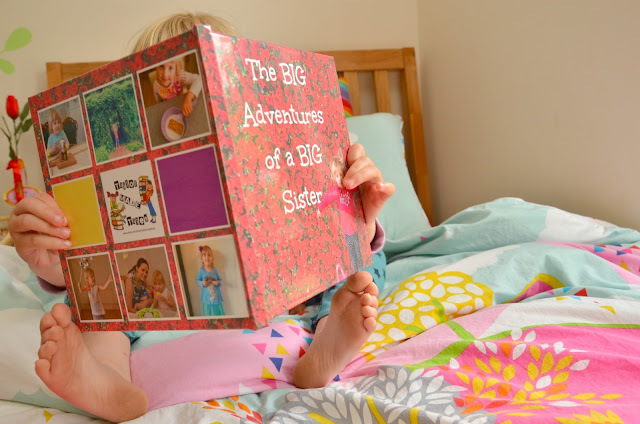 "The Big Adventures of a Big Sister"
I even love the title! 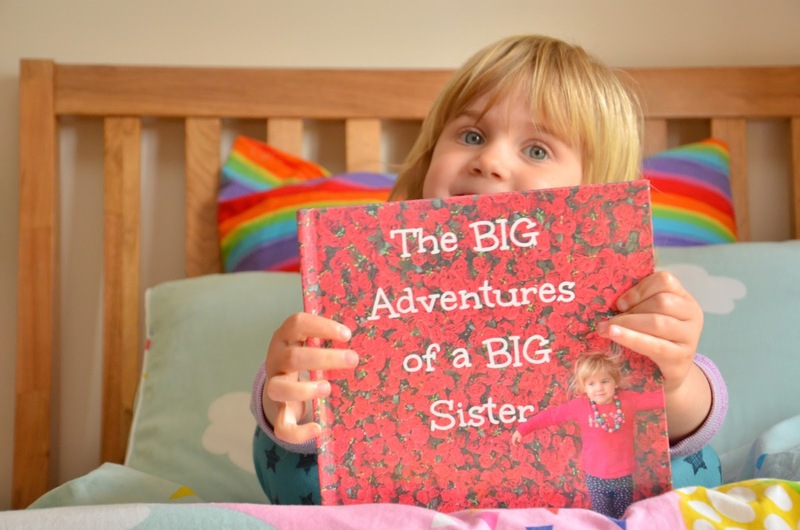 2016 has been her year of being a big sister, and that's what her story is all about. Miss M's favourite doll Lily comes to life in this story, and asks her advice on how she does all the things in her busy life as well as being a great big sister. It's written really beautifully in appropriate child language and is such fun to read aloud. Miss M was captivated, engaged and couldn't believe the story was all about her - in a REAL actual book! 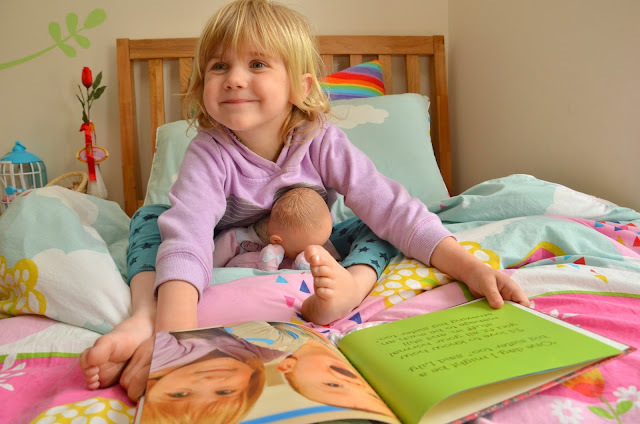 She loved recognising her local park, her Nanna and especially her brother especially as we flipped through the pages. So this is how it works; you select and send around 15 photos to Kim (either by email or drop box), plus fill in a questionnaire about your little one so that she can get to know them a bit. 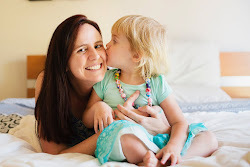 It's important to include details like family members so Kim knows who is who, special interests and details about your child, and anything specific relating to a particular photo. 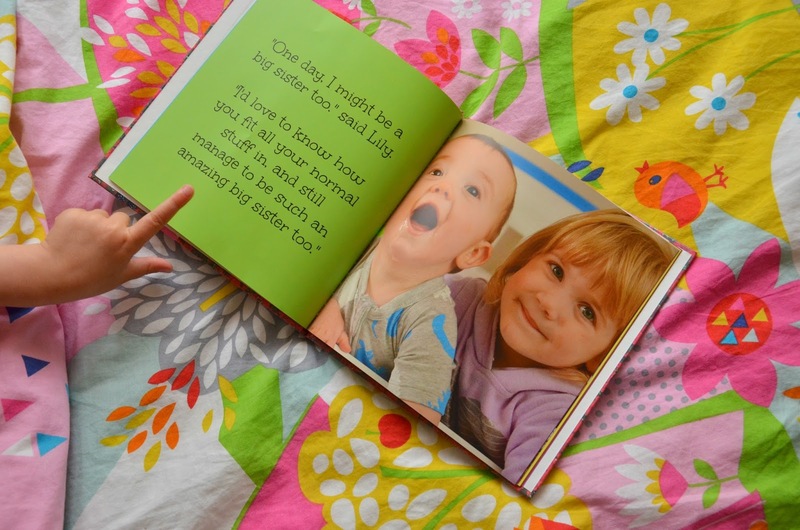 You have the option of soft/hard cover and Kim also has a board book option available. Kim will then send you a proof of the book for you to check over and make any changes you would like. From then it will take a few weeks for your book to arrive in the post. *Christmas orders need to be in by November 16th - via this link. And don't delay in getting your photos and questionnaire to Kim ASAP to ensure you receive the book in time for Christmas. PLUS Teacher Types readers can get a 10% discount by entering the code 'teachertypes'. 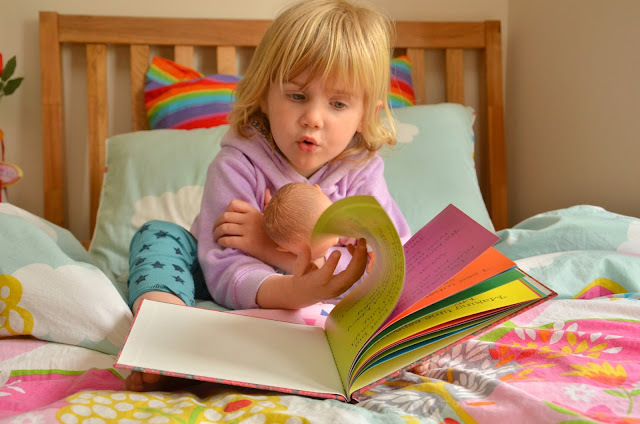 It goes without saying that I am a huge advocate for getting young children interested in reading from an early age, and Tailor Made Tales personalised books makes it all the more special and gives them that motivation to want to curl up with a loved one and read the book together. Thank you so much for writing Miss M her very own special story Kim. Love the look of these books Lauren, especially love that she writes the story individually for your child.